Your home may already have double glazing, but how do you know when it is time to replace the old with new, super efficient windows? Well, I hope to clarify this for you with pointers from within the double glazing industry. The above bullet points may seem pretty self-explanatory, something we may well have encountered in our lifetime, but how do you know if the issue is negatively effecting the performance of your window or whether it is worth replacing your windows or getting them repaired? If the leak is coming in via the frame, it may be down to the failure of the window’s weather seals. If you don’t think it is the seal, it could be caused by the drainage section being blocked. 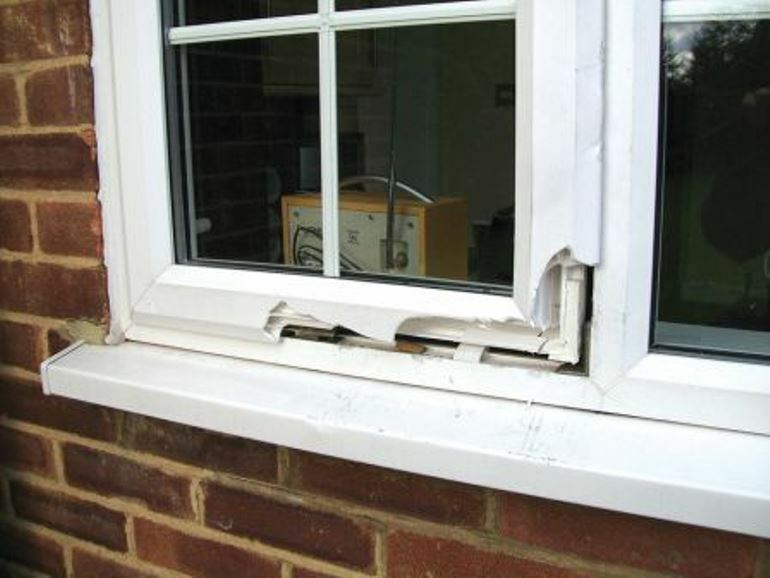 If this is the case, then it may be possible to replace the weather seals, however, you should contact the window supplier to check if the seals are available to buy. If the drainage is block, it could be caused by a build up of a debris. A quick clean will help with this. The sealant between the window and the aperture may have failed resulting in gaps around the edge of the frame, and there is water ingress so it will need repairing or replacing fast. If the windows are still under guarantee, get in touch with the company as this should be covered. If they aren’t, I’d recommend getting in touch with a professional to repair the problem. This will prevent water entering your home, stop the water damaging your wall or plaster and seal any draughts that could also be coming in through these gaps. Alternatively, if your double glazed windows are very old, they will be outdated, so it’s probably time to upgrade your windows. This ‘dew point’ varies according to the amount of water in the atmosphere (known as humidity). In humid conditions condensation occurs at higher temperatures. In cold conditions condensation occurs despite relatively low humidity. Condensation is forming inside your home on your windows. There are a few factors to consider – the ventilation, the use of the room, the temperature inside and outside of your home and the amount of people in your home. According to the National Federation of Glaziers, two adults sleeping in an unventilated room will breath out approx. 1.5 pints of water vapour in 8 hours. Improving the ventilation of the affected room will help. If your home is quite prone to condensation, a dehumidifier may also help reduce this. No replacement or repairs should be required, but you may want to consider the performance of your current windows. Getting more energy efficient windows would help reduce condensation as the internal pane of glass would be warmer. Condensation is on the outside of your windows. This actually means your windows are doing a fantastic job of keeping heat in your home. It will eventually disappear as it warms up outside, but there isn’t much you can actively do. If the external pane of glass is colder than the air temperature outside, and if the ‘dew point’ of the air outside is higher than the temperature of the glass, condensation will form on the outside of this pane of glass. 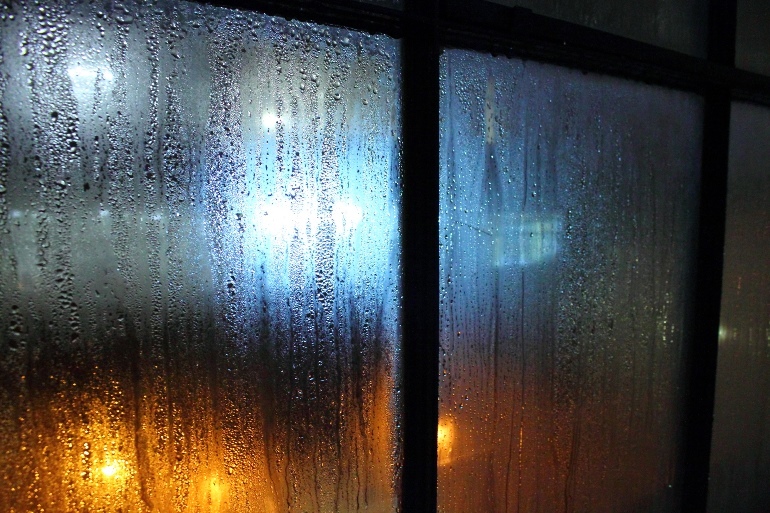 Condensation on the outside of glazing is a phenomenon that is occasionally seen at night and in the early hours of the morning on well-insulated glass in clear cloudless weather where there is no wind. This is mainly caused by heat losses towards the clear sky. This phenomenon should not be considered to represent a problem but rather proof of good thermal insulation. Find out more about battling condensation on your windows here. Condensation has formed between the two panes of glass. This is a big issue, as the seal around the two panes of glass has sprung a leak. It is an indication that the gas cavity between the glass panes is no longer completely sealed. If this happens the sealed unit must be replaced as this cannot be reversed. Your double glazing has failed and this will need replacing as the performance of your window will have decreased. The inert gas will have evaporated and warm air from your home will be finding its way in. Check your guarantee as this should be covered here. 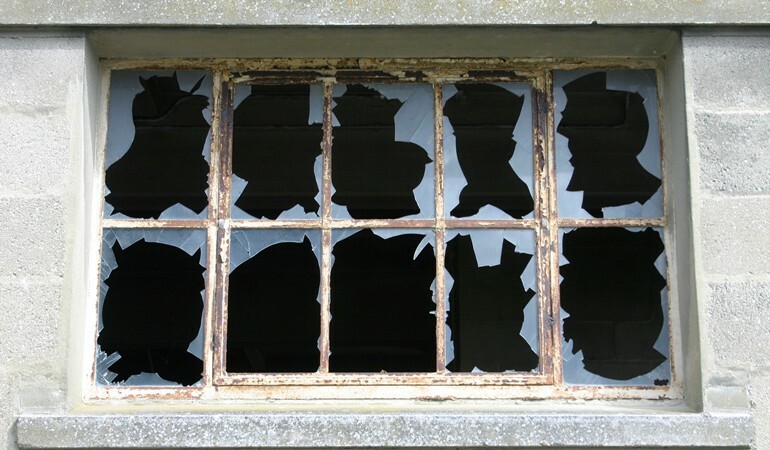 The glass of your window has a crack, chip, hole or scratch. If the glass is scratch, it may buff out, however, replacing the glass is the only remedy for any other damage. This could end up causing condensation between the panes if not replaced and your windows won’t be performing as well. The uPVC has cracks, chips, holes or scratches in it. YOU SHALL NOT PASS – This Anglian window survived an attempted break-in without the wannabe burglar getting in. This could just be cosmetic damage, however, if these penetrate deep into the frame, it could be reducing the efficiency of the windows, allowing draughts to enter your home. If the damage is deep, a replacement is needed. In some circumstances a repair may be possible, however, we recommend you contact the company that installed the windows. Noticeable draughts can only mean a seal somewhere in or around the window has broken down. If you can feel draughts between the bricks and the window frame, the sealant used around the window may have failed. This can be remedied by filling the area between the wall and the frame. If you’d rather not do this yourself, hire a professional. If it’s coming from in-between the frame and the glass, the weather seal from within may have worn away or lost its elasticity over the years, letting in those pesky draughts. Like above with water leaking through this area, you’d need to replace the weatherseals. However, if they have begun to misbehave, you may benefit from upgrading your windows as the chances are they will be far less efficient than the current standard.